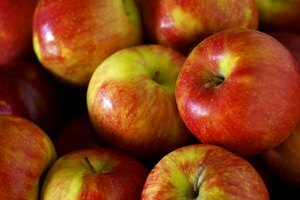 Apples are the second-most popular fruit in the United States. From baked goods to cocktail garnishes and home decor, the apple figures prominently in American culture and cuisine. Apples are also best when eaten ripe; unripe apples are not dangerous, but they sour and become hard. 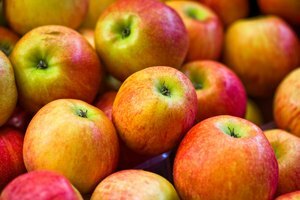 This can lead to digestive discomfort produced by the apples' excessive ethylene gas. However, don't toss your unripe apples just yet. They still have a variety of uses, from cooking to decorating. Apples reveal their ripeness through a variety of ways. First, check the apple's color. A ripe, ready-to-eat apple will be mostly its intended color; for example, a Golden Delicious apple will be mostly -- if not all -- yellow. 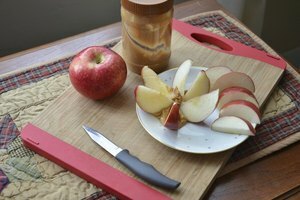 Striped or red-blush apples will be red and yellow -- but not green -- when ripe. If you are picking apples directly from the tree, ripeness is indicated by ease of separation from the tree. Check an apple's ripeness by touching and tasting it. 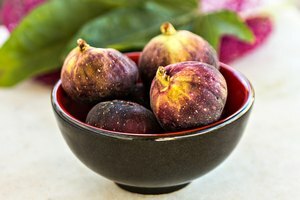 If an apple's color is right and it is very slightly soft, taste it. Sweetness indicates that the apple is ripe. Unripe apples are edible and palatable once cooked, as cooking softens the fruit and enhances its natural flavors. Unripe apples are excellent candidates for poaching and frying, but not baking. To poach unripe apples, slice and core them, then bring your desired poaching liquid -- such as water, wine or fruit juice -- to a boil. 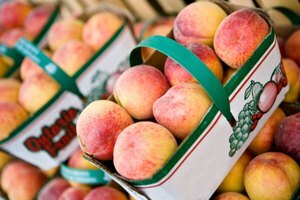 When the liquid is boiling, add the fruit and cook for up to 45, depending on the pre-poaching ripeness. Eat the apples right away or refrigerate them. To fry unripe apples, peel, slice and core them, then add the slices to a saucepan, sprinkle with sugar and cook them for 15 minutes over medium heat. Wash the apples, then cut them up, put them in a pot and add the water and lemon juice. Boil the mixture until it reduces by half, then strain it through a cheesecloth. Boil the juice again, pour it into heat-safe jars and seal the jars. Refrigerate the jars right away or process them in a boiling water bath. Add chopped unripe apples to your compost pile. Cover them with other compost materials to avoid an insect infestation. You can also use dried unripe apples for home decorating. Core and slice the apples, then process them in a food dehydrator or let them dry in the sun, but watch out for bugs. Once dry, thread a red or green string through the slices' holes and wrap them around your Christmas tree. 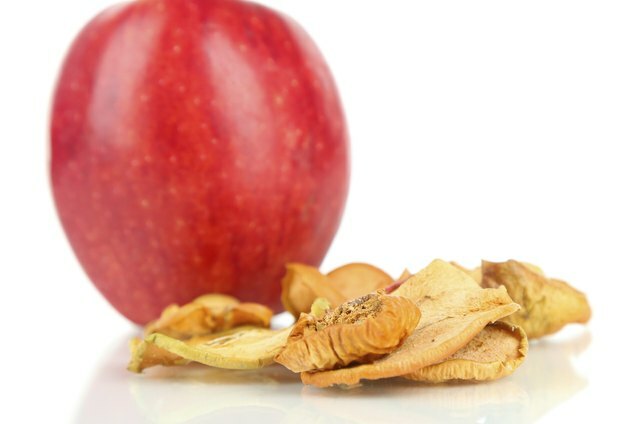 Alternatively, add dried apples to your own homemade or store-bought potpourri.